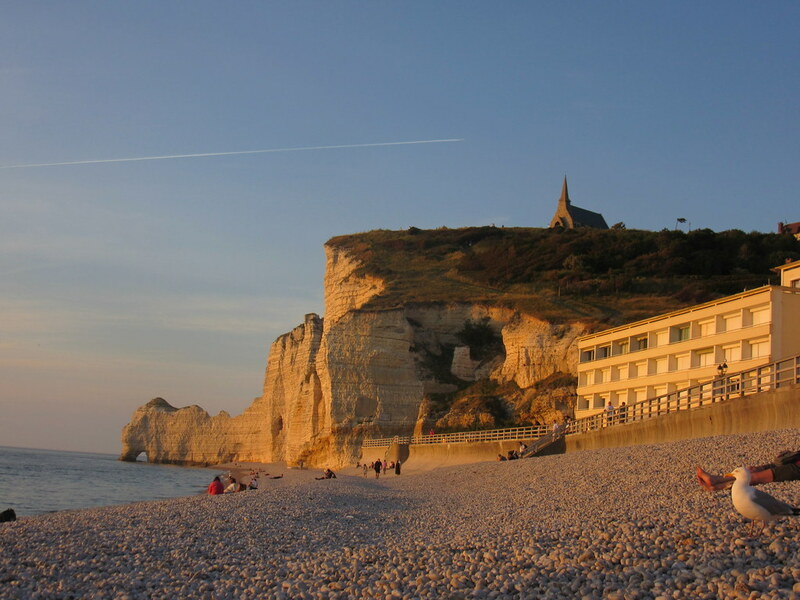 Maybe I didn’t fully know or maybe I had just forgotten how much France has to offer in terms of variety, especially the terrain and landscapes from area to area. No wonder so many French holiday or travel domestically. The infrastructure for travel in whatever form is some of the best we’ve seen. 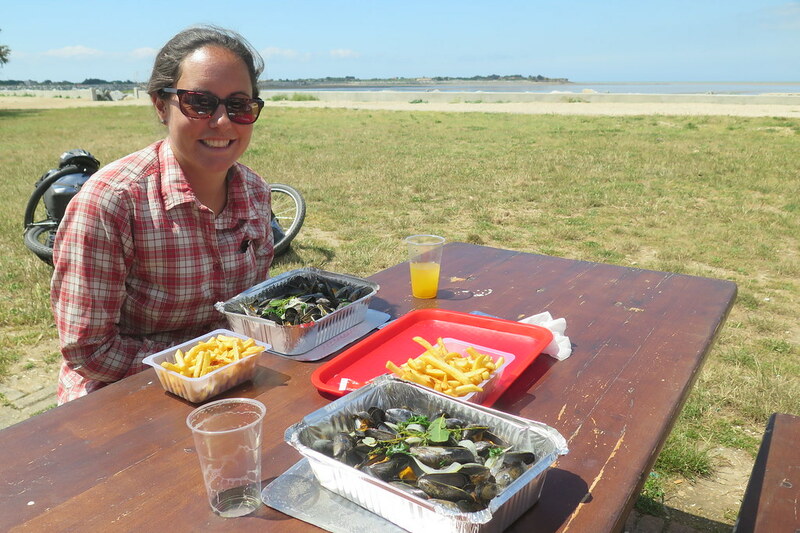 There are picnic spots all along the way, places to camp, good roads, tourist information, interesting things to see, speciality food/wine, the list goes on. 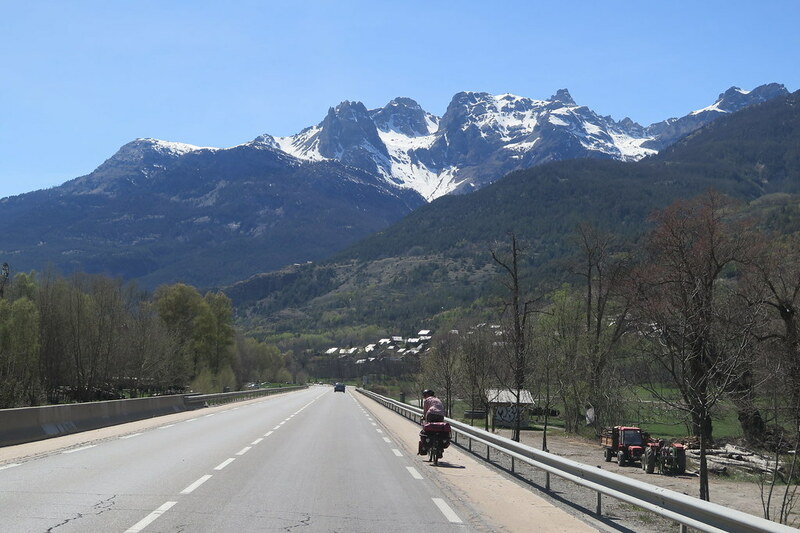 The types of landscape we cycled through and passed were stunning – mountains, forests, farmland, rivers, lakes, beaches, rocky coasts, canals, and into beautiful cities and towns. Just spectacular areas and we didn’t get bored in our 2 months due to this. As I said the roads were good, mostly, I think we’ve been spoilt in Europe saying mostly good! The motorists were considerate leaving room, I think they are quite used to cyclists. 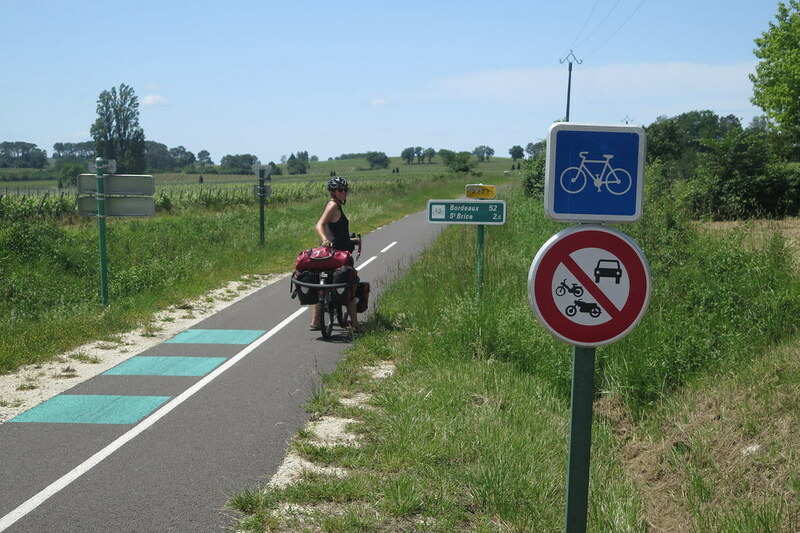 Plus it was astonishing the number of road options and cycle paths there were throughout France. 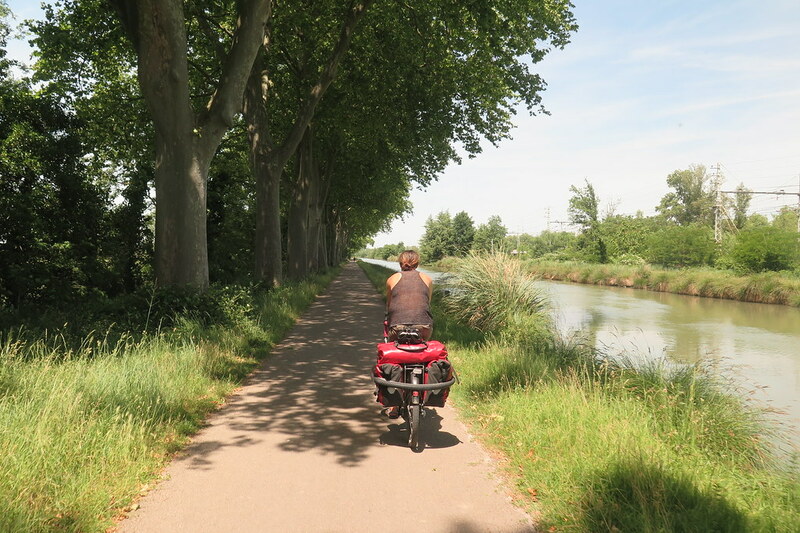 We stuck to roads initially, but coming into and leaving Toulouse, we used cycle paths. It’s great and easy to use them, and gives us the opportunity to cycle, chat and take things easy, but it also means you don’t see much. 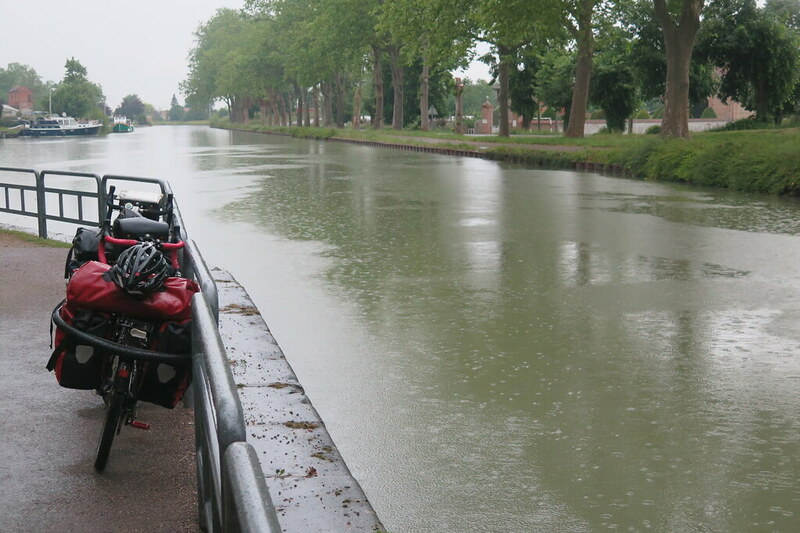 For example following the canal path, our view didn’t really change for quite a few days, it was nice for a short time but good to have the options of other routes. The paths tended to wind back and forth which wasn’t too much of a problem as we weren’t constricted by time pressures, but sometimes they made no sense so we’d just get back on the road to cut sections out. Using these paths meant we also saw the most tourers we’ve seen, maybe on the whole of the trip. 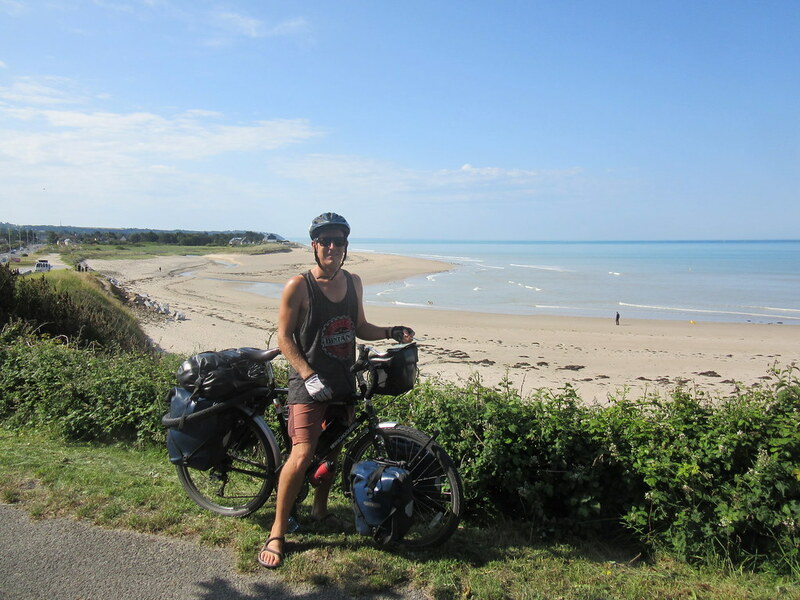 In France touring style bikes seem more popular than road bikes. I think most of the ones we saw weren’t camping or doing a longer trip so not many stopped to chat, which was probably good otherwise we wouldn’t have got anywhere with there being so many. Coming from Asia and being away from Europe for close to 7 years gave us a new appreciation of the buildings and architecture. Such beautiful old buildings. 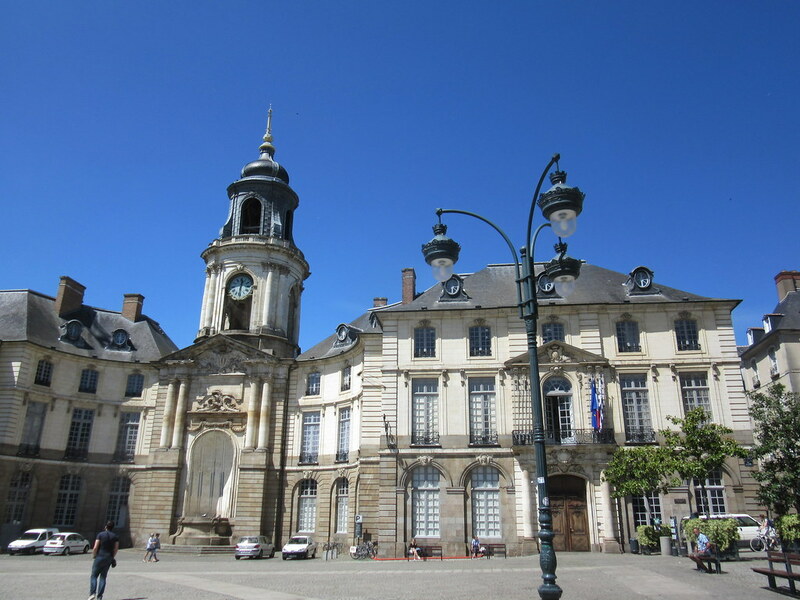 Cycling through towns, no matter how small, there was always a town hall or Mayor’s office and a pretty church. As we got further north more towns were twinned with British towns, even though we hadn’t heard of quite a few, I think we need to brush up on our UK geography. There were plenty of historical places, some familiar (especially in the north) and some not so. It was very interesting. Even though I said the culture is more familiar to us, of course there are always new things to learn. It really helped spending time with Tim and Claire, who could explain things. 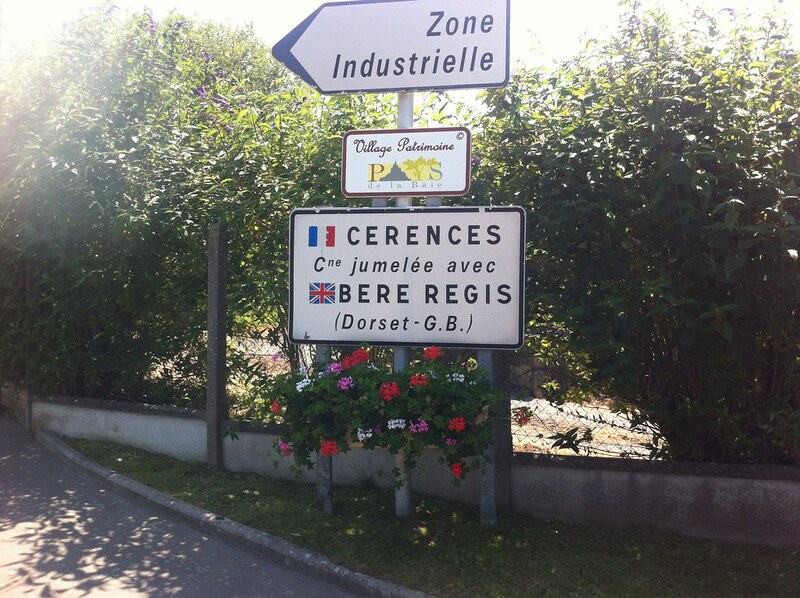 Also by meeting people on our way and Andy being able to chat more freely in French we could understand much more. We found that it was mostly retirees that would stop to chat and ask us some questions. I think travelling from east to west that the demographic of who stops to chat to us has changed, from younger people who can speak English further east to older people in Europe. And now I’m going to sound old but younger people in Europe seemed to always be in much more of a rush or on their phones, uninterested in two smelly cyclists. Not always, but generally this happened. As I mentioned before we saw a lot of caravans and campervans throughout France. Most of which were French but when we were further north there was a whole mix of other European number plates , a large number were German, Dutch, Belgian and British. I did not realise how popular it was. It was retirees on the whole. 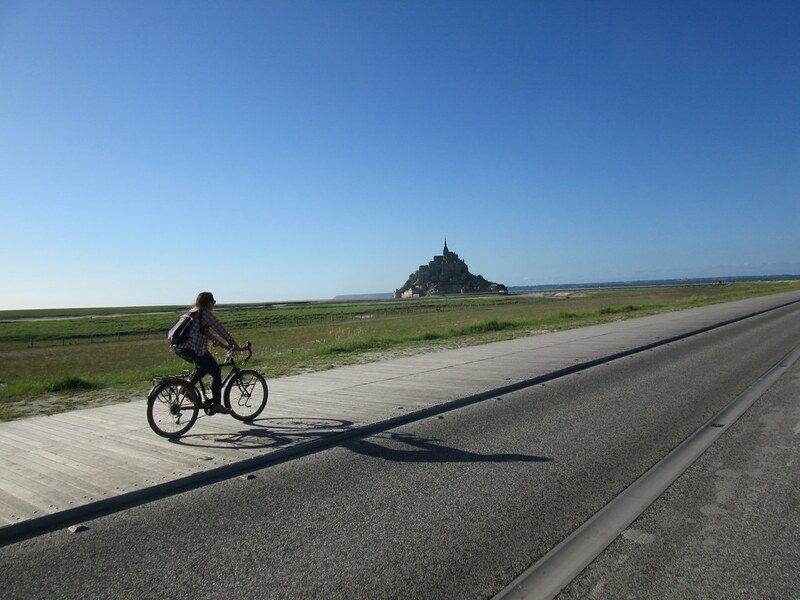 We did find France the most expensive European country meaning we needed to camp a fair bit. Luckily we also had some extremely kind offers to stay with people, making the number of camp days less than they would have been and the number of showers more. So a massive thank you to Claire and Tim, Helen, and Ted and Joan (through Helen) for their generousity. 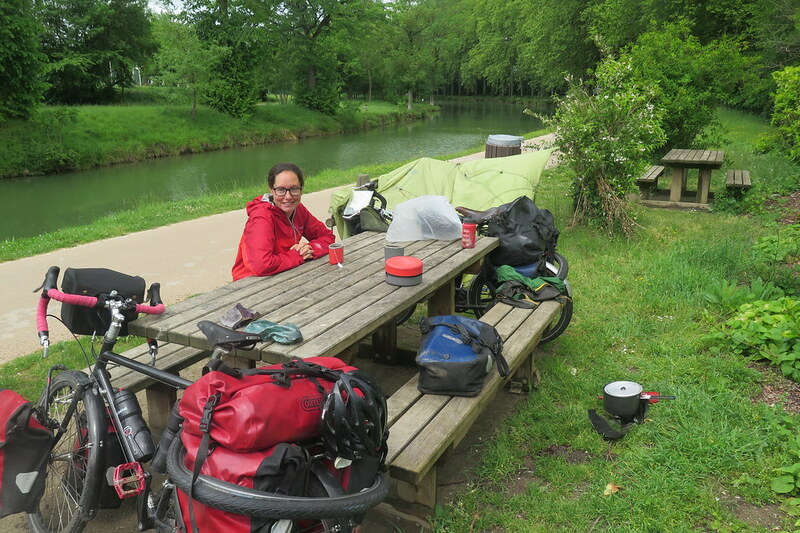 We did find wild camping a little harder than Italy but easier than we had though it was going to be coming into France. Most of the time we were in wooded areas which were perfect for hiding out in. 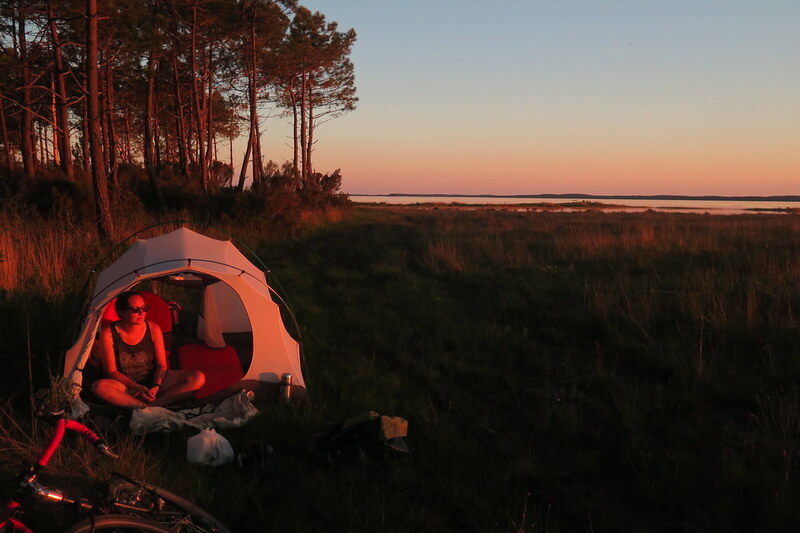 Our final week along the north coast we decided to use camp sites, which cost anything between 12-18 euros. The municipal ones were cheap and usually offered all we needed including free wifi, it did mean they were a little busier though. It was really nice to get there mid afternoon, get the tent up and go and be a tourist for a few hours. In Italy finding free wifi was a real problem but this was not the case in France. Tourist information offices were a great place to find free wifi in most towns and all cities. Cafes and restaurants also mostly had wifi, and hotels all had wifi. It made it much easier to stay connected. Access to water was pretty good, there were usually fountains throughout the day but if not plenty of shops. We did cook the majority of our meals and again it was easy enough with supermarkets along our daily route. We had to just be careful of Sunday afternoons when they were all shut and national holidays, which there seemed to be a lot of whilst we were there. 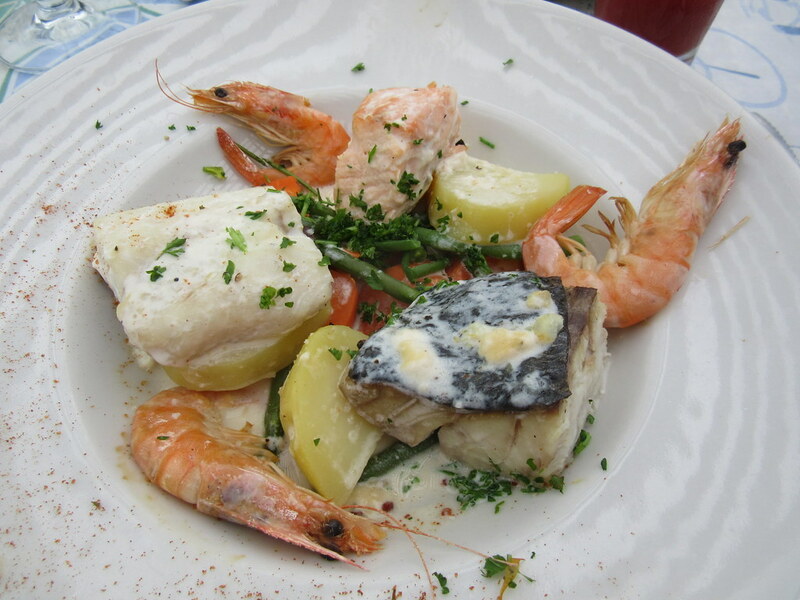 When we decided to treat ourselves to a meal, especially towards the end, the lunch menus were great value. We had some delicious meals. The French sure know how to cook. They also know how to make bread and baked goods, I couldn’t tell you how many croissants and pains au chocolat I ate during those 2 months, a lot! 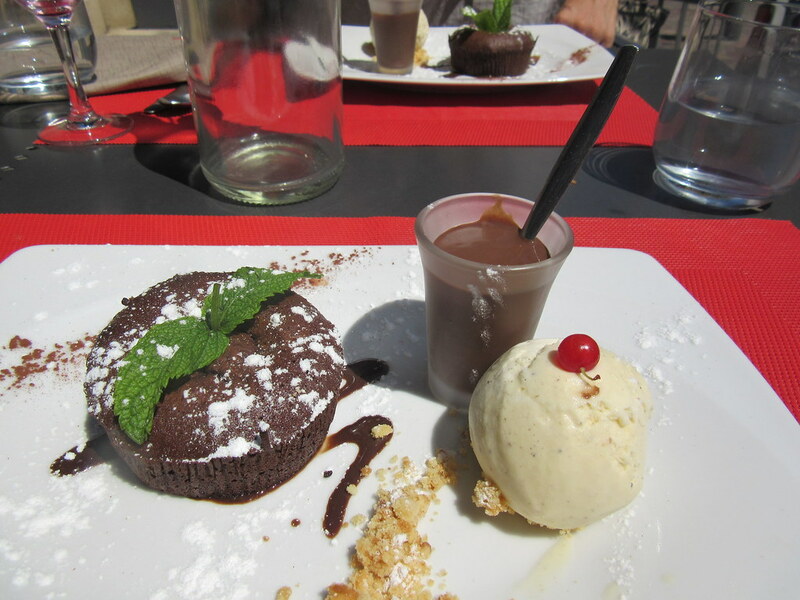 I feel there is little else to say about French cuisine as it known around the world and so is the wine. We passed through many famous vineyards wishing we weren’t travelling by bike so we could pick up a few boxes to take home. Maybe next time. 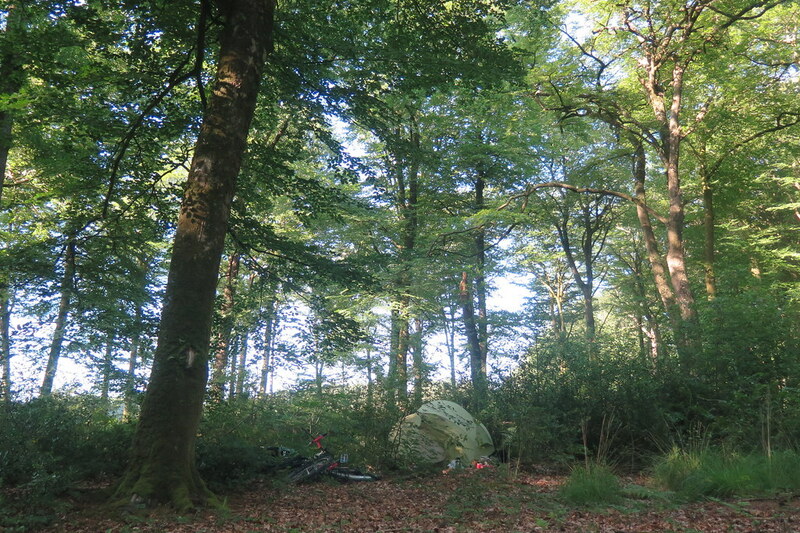 A bit of a random observation, but when camping in most other countries we always hear plenty of dogs barking, in France we rarely heard any. I guess rather than work animals they are pets and few are left outside overnight. We still had plenty of frog, bird and other unknown wild animals noises to soothe us to sleep. Being out in the elements all the time can sometimes be a real struggle, especially if you have continuous rain for days on end. When we left Toulouse it was a gorgeous day, making it a little easier to leave after having such a good time with Tim and Claire. Then the rain started that evening and didn’t ease up for quite a few days. With only a few weeks left of our trip it definitely wasn’t the ending we had wanted. It was frustrating and put us in not the best mood but luckily it turned and we had mostly good or great weather until we finished. Obviously the main thing was we didn’t want to turn up as pasty as the rest of our family and friends when we got to the UK. Being able to sit out in the sun to cook a meal, or sit out in the evening rather than climbing straight into the tent to be in there 12+ hours is of course much nicer than hiding away from the rain. So thank goodness we had that for the last 3 weeks. Considering I started this post thinking I wouldn’t have too much to summarise about a country that is familiar to many people, I’ve managed to say quite a lot. 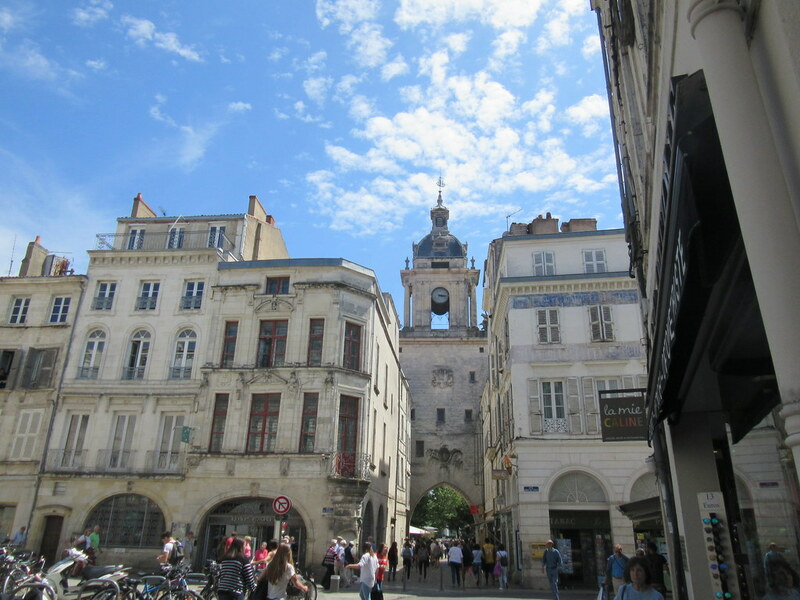 Maybe that summarises our time there – we thought we knew most things about France, but actually there was still plenty to learn. 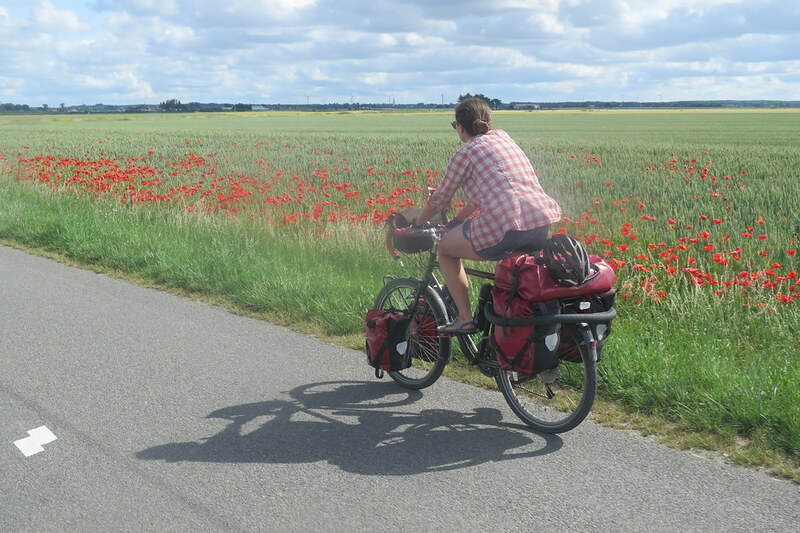 It really was a great country to cycle through with lots to offer. I miss the bakeries already! 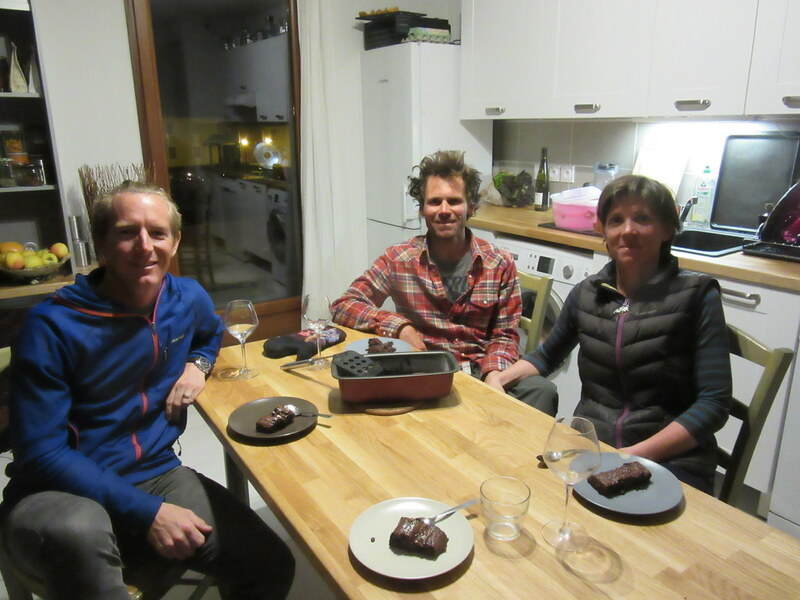 Highlight, there were a lot of highlights but one thing that really struck us was when Marion and Baptiste invited us, complete strangers, to stay in their home. 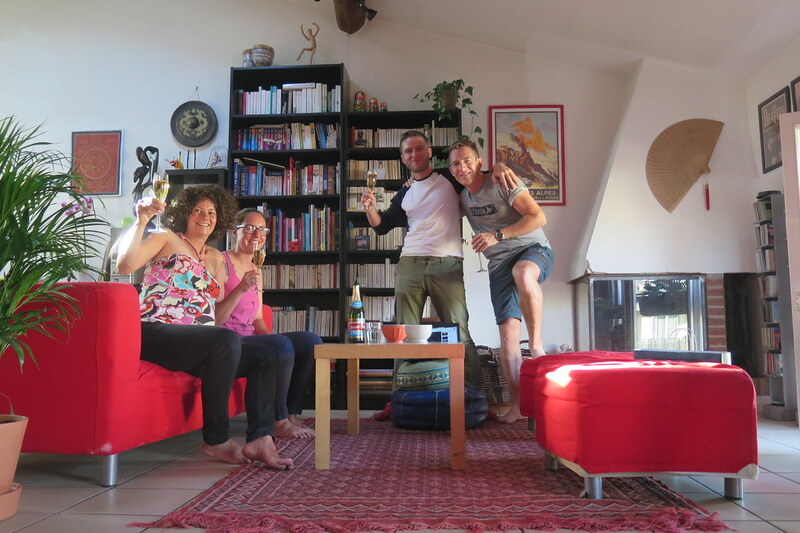 Many cyclists are invited into homes all the time but I really didn’t expect this to happen in France. Even though Warmshowers is essentially inviting strangers into their homes, they at least have a website with feedback and can learn a little about their guests before they come and stay or make the decision to not host them. It makes you realise how many lovely people there are out in the world. Lowlight, was mostly the bad weather. Maybe a few patches of busy road where we were just trying to cover distance that weren’t very fun but that’s about it. Lovely summary Clare. I just had an email from a cycling group I go out with occasionally about an incident with a car confirming that the police here are prosecuting the car driver. I wasn’t on the ride when it happened but another member commented about the care of French drivers he had experienced recently which he put down to the fact that there is an incident between a driver and cyclists in France the driver is automatically deemed to be at fault! 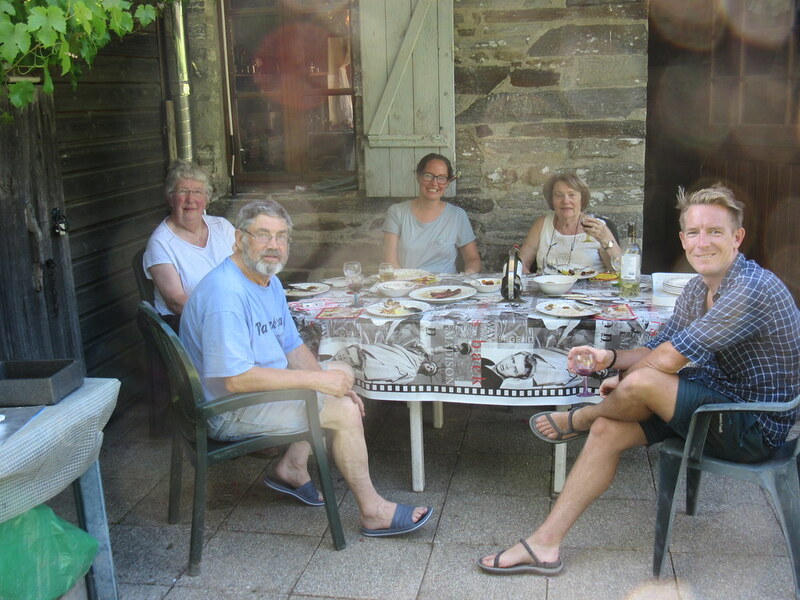 When I was cycle camping in the UK in 1975 (ages and ages ago) we were given hospitality by strangers for two or three nights – there are a lot of lovely people about we just seem to forget that sometimes. Now you have explored the world you must get to know UK well its a great place. We had a map and took the kids to a different area each uk camping holiday..often decided last minute by the weather forecast! Hi Liz, thanks for your comment! Yes, the Velodyssee website is quite good, but still doesn’t have all that much detail. In most places the route was easy to follow, but it did take a very meandering route some of the time. At least it’s just following the coast, so if all else fails, you can head south or north, depending on which way you’re going! We’re not teachers by profession, TEFL was just a good way for us to live in Japan! But I think starting any job after 2 years travelling will be a shock to the system! Anyway, good luck with your ride. 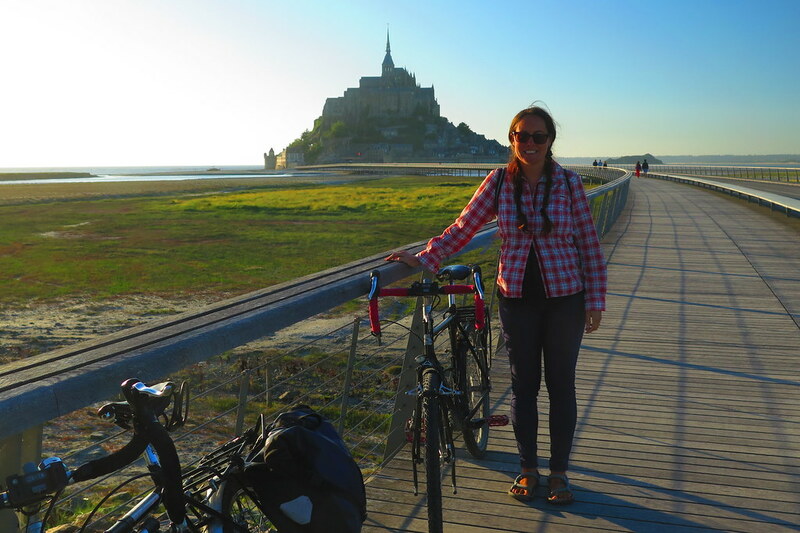 If you’d like any more info on the Atlantic coast route, feel free to get in touch!